Scuba diving is a team sport where underwater communication is very important, vital. 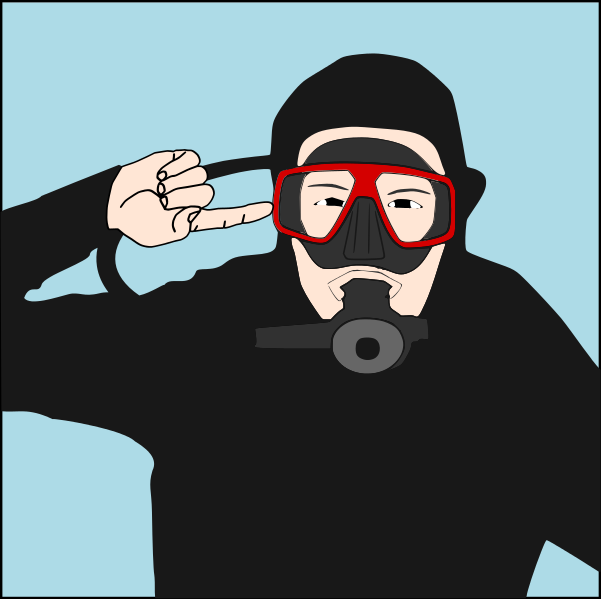 Unless you dive with a very expensive voice communication mask, the only way you can talk to your partner will be through signs made with your hands, light or through sounds made, for example, by rattling with the dive knife on the tank. When you share hundreds of dives with the same buddy you will create your own code of communication, but until that time comes you need to know some basic underwater communication signals that you'll use to warn of a danger, to show how you feel while diving, to confirm the direction to take or to warn your buddy of the presence of an animal. 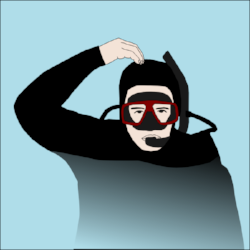 There are more than 200 common diving signs and there is no hurry not know all of them but you at least need to know some like the back of your hand because that can actually save your life. 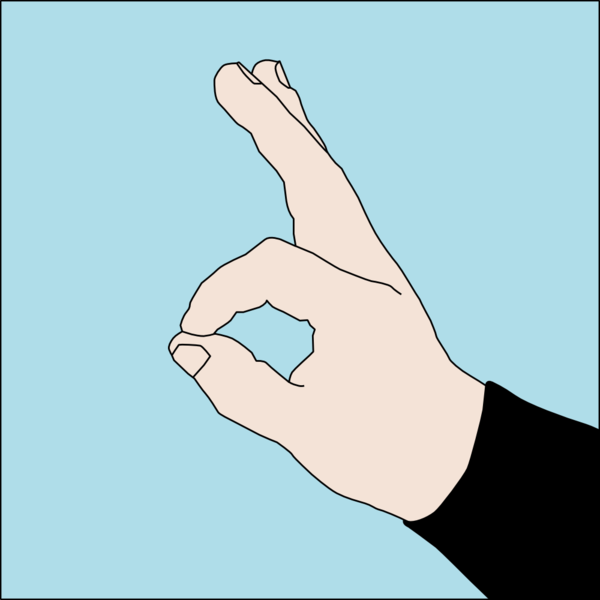 The OK signal can also be done as in the image above if you're wearing gloves. 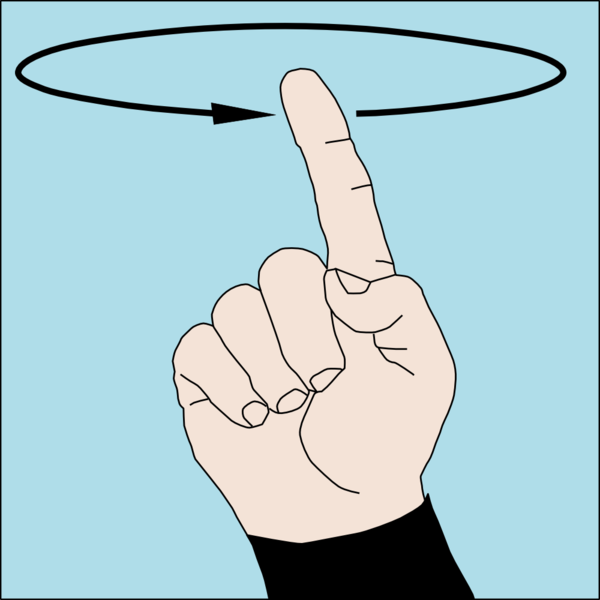 Another way of saying “I’m OK” is placing both hands above your head in an arc. 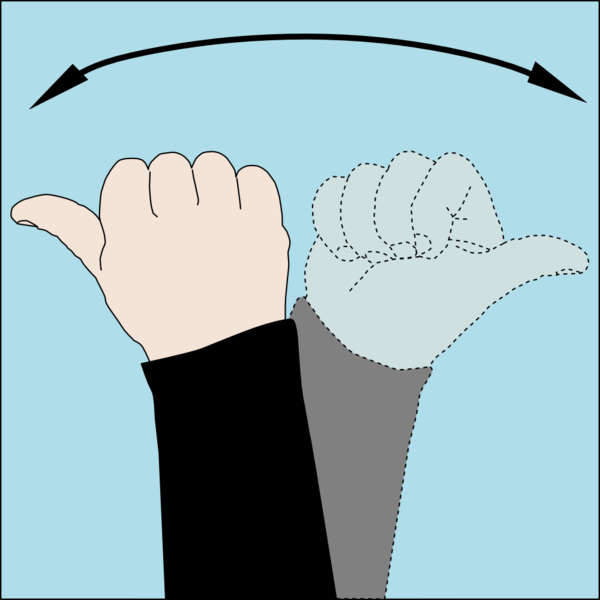 This signal is used when you are far enough from your buddy so that the hand is not easily visible, for example when you are diving from a boat. Another alternative to the above signal is doing OK with placing just one arm above the head. 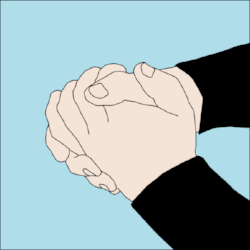 With your fingers extended, palm down you will swing one hand when you want to note that you are not well, that you do not feel comfortable and that you need some time and attention of your buddy in case you need help. 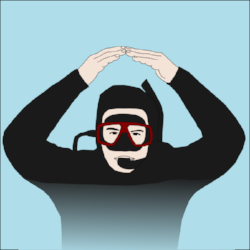 When your buddy makes this gesture you will stop whatever you are doing and wait until he or she makes the OK sign before continuing with the dive. In addition to the above signal to tell your buddy that you cannot equalize, just point at your ear with a finger so he/she knows that has to wait until you get to equalize. This is one of those signs that we hope you never have to do since it represents serious danger and an emergency. It is done by joining the fingers and taking them to the mouth asking for air from your buddy's octopus as your air tank is empty or something is wrong with it. As in the case of the signal above, this one is also quite sensitive and represents a serious problem in a dive. It is done by placing the palm facing down and simulating a cut to the chest or neck, to say that your tank has no air. 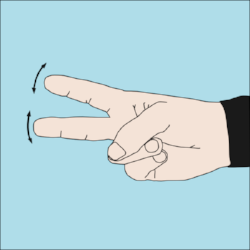 If your buddy does this sign you have to give him your spare regulator (or pass him your primary regulator and you use your spare) and prepare for a joint water exit. 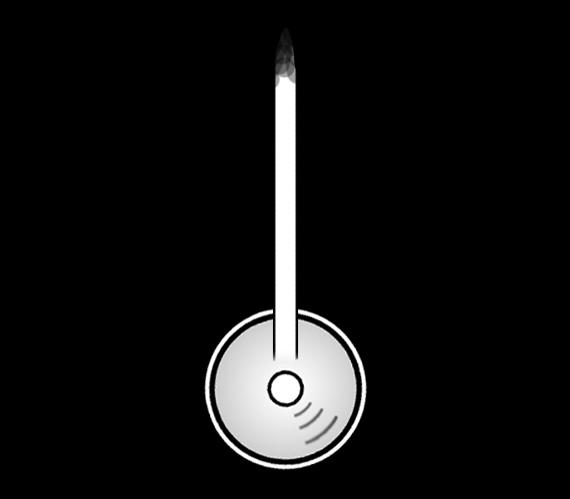 Almost all diving signals related to a problem or emergency are easily identifiable, and this one, used to communicate with a boat or someone inland, is also clearly visible. Moving an arm on both sides you are asking for help because you have had a problem during the dive and need urgent assistance. This signal does not represent an emergency but we want to locate near the image above to indicate the difference between the two. This image means "pick me up " and is done for someone on a boat to pick you up but does not involve any emergency or danger. The difference between them is the movement. With movement it means danger, motionless means no danger. But yes, if are in one of those situations that you need help your own common sense will be able to show whether there is danger, but it is worth to point it. This signal is done by opening and closing fingers to indicate your buddy that you have had a muscle cramp (very common in the calf muscles) and either needs his/her help to stretch the muscle and relieve cramping, or you need some time to do it yourself. Punching in a direction shows the presence of a threat of any kind to communicate to your buddies to be careful or do not go in that direction of the punch. Another universal signal that requires no explanation. Diving cold is very nasty and uncomfortable, but when it becomes too cold it is sometimes better to stop the dive. 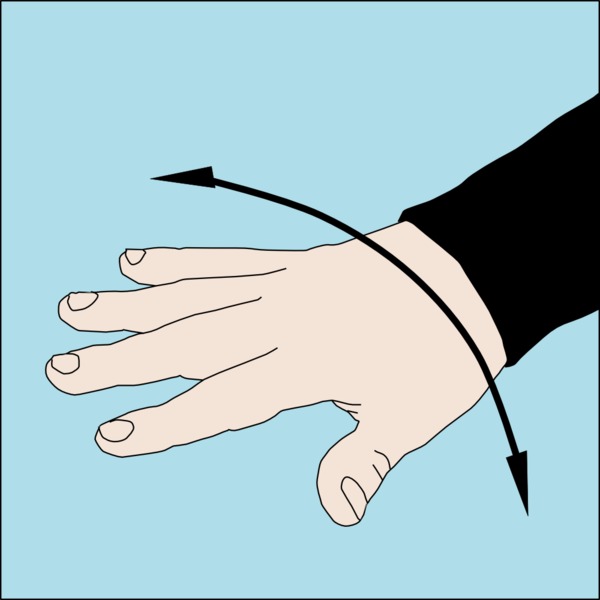 By pulling the thumb between the forefinger and middle finger you will show your diving buddy that you have been caught with a fishnet, a rope or similar. At that moment both of you have to be careful and analyze what the problem is and fix it with the dive knife. This signal also easily recognizable, is done by partner when we cannot get the item we need to be cut, mainly fishing nets. This signal is one of the most common and often used signals while diving. 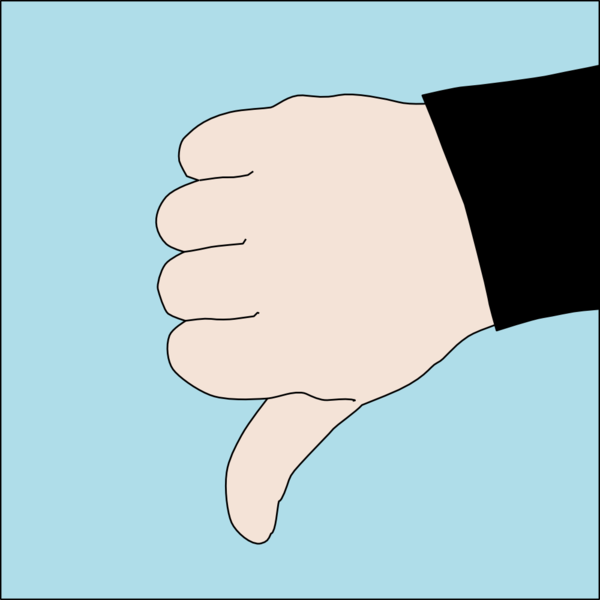 With the forefinger and middle finger hit in the palm of your hand to ask your buddy how much air is left in the tank. Forming a T with both hands shows that we have reached the 100 bar limit, we have half the air in the tank and time is up, it's time to turn around (the tanks are usually filled to 200 bar). 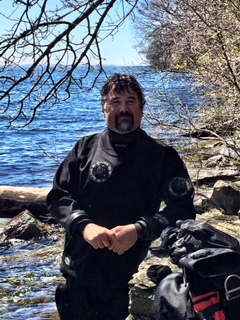 With the fist raised to the height of the head, shows your partner you only have 50 bars left of air pressure, you have entered the reserve air tank and you need to finish the dive because you have to account for time to do the decompression stops. With a closed fist and thumb indicating to the bottom, this will show your buddy that is time to start deflating the Buoyancy Compensator to start the dive. 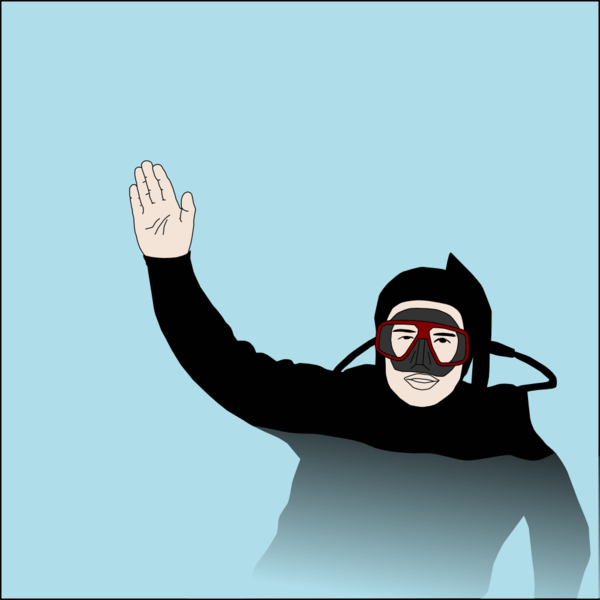 Opposite to the sign above, with the thumb pointing towards the surface and moving the hand up to show your partner that the dive is over and it's time to head to the surface. 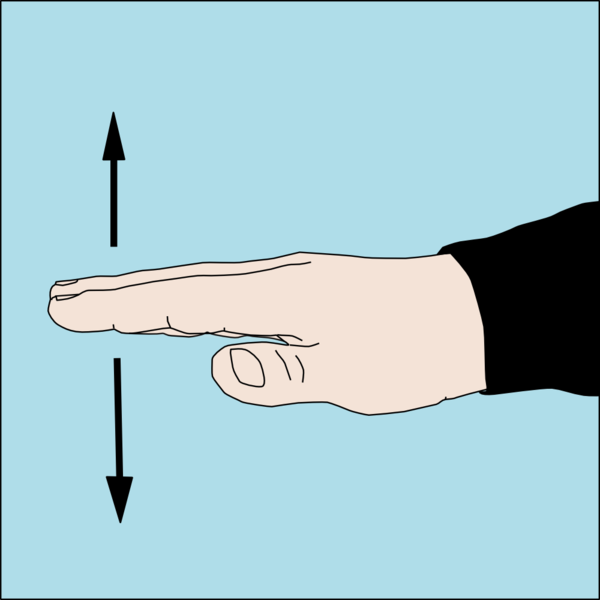 When the dive guide indicates that you are going to turn around he/she will lift the index finger and rotate it in circles. This sign is usually done when the dive starts and ends in the same place or when one of the divers has 100 bars left. Where to go? Which direction do we take? 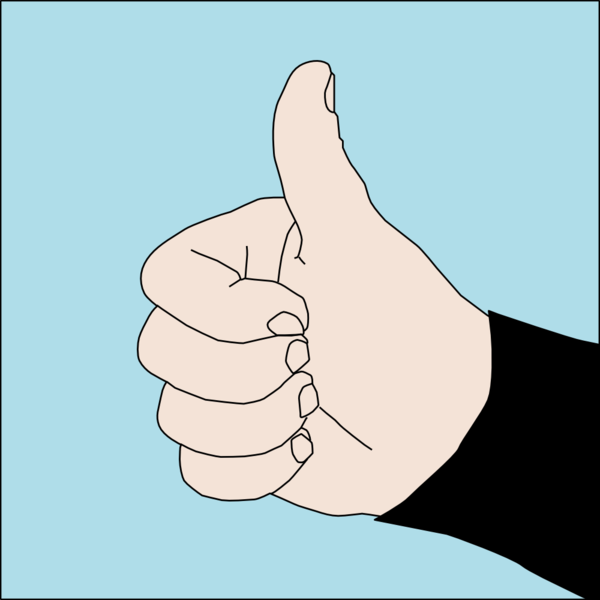 With a closed fist and thumb pointing sideways turn forearm 180º to ask and agree with your buddy which direction to take. This signal is done by putting together the index finger of each hand and pointing to the front. With this sign the divemaster will tell you to get closer to your buddy. 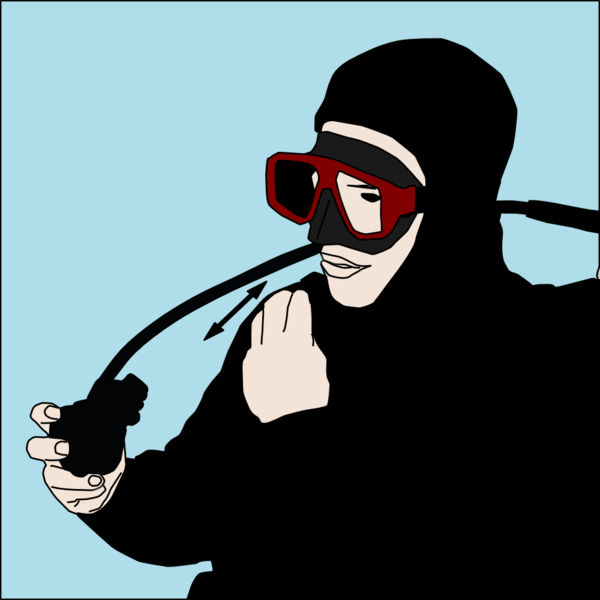 Sometimes it is because the instructor, for any issue, decides to change the dive buddies and draw two divers to later make this gesture of the image indicating that the two divers have to go together. By putting both hands in a grip it's telling two divers (usually this sign is made by the divemaster) that they have to be secured by their hands. This signal is performed when there is any type of problem like strong currents or bad visibility and is necessary for the safety of divers to maintain full contact. To mark who runs the dive the divers are pointed to by using the index finger in order and then placing the two fingers facing forward, one more advanced than the other. 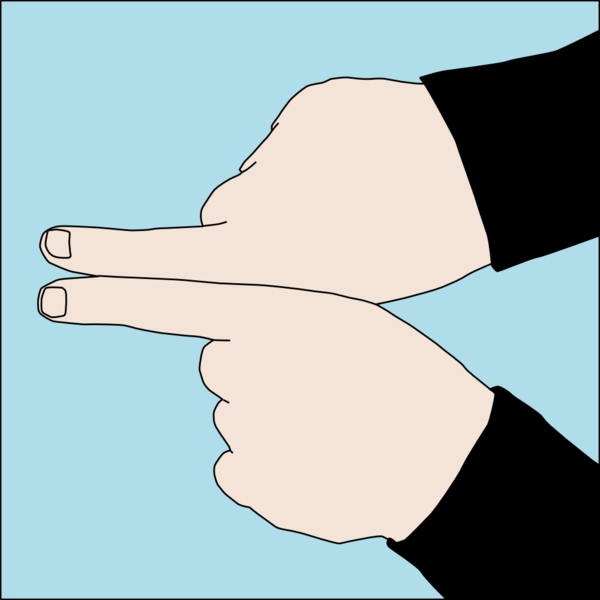 The diver who has been pointed the finger forward is the leader. 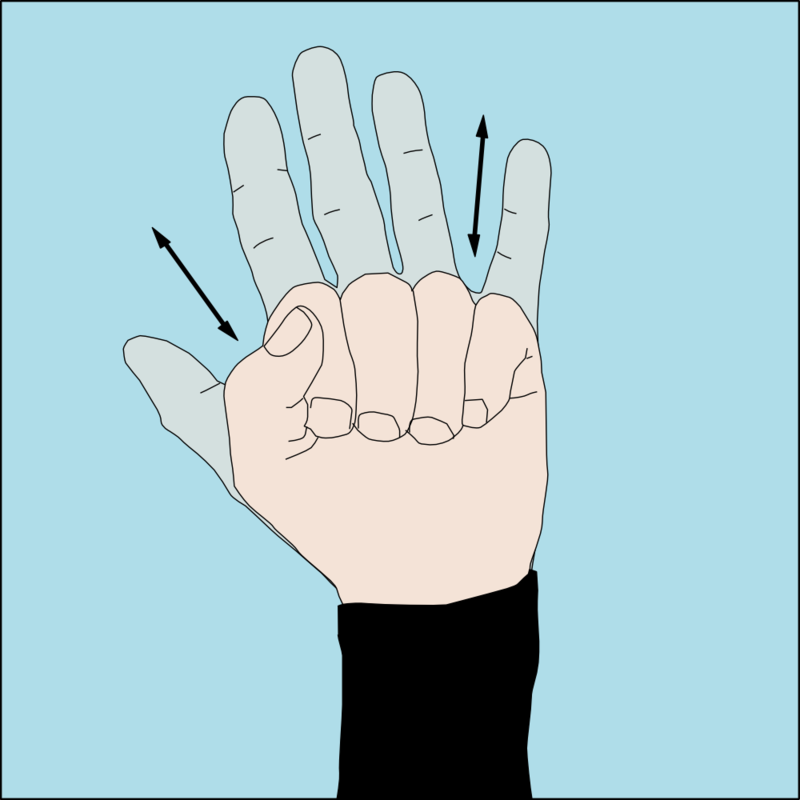 With the palm open and down and movements left and right you indicate divers that your going to keep diving at the current depth. This signal is also universal and needs no explanation, when you see it you will know immediately what does it mean. This is a sign done usually to Open Water divers that in their eagerness to see more and discover what's happening underwater, dive very fast. Another one of those universal signs that are not only understood by divers. 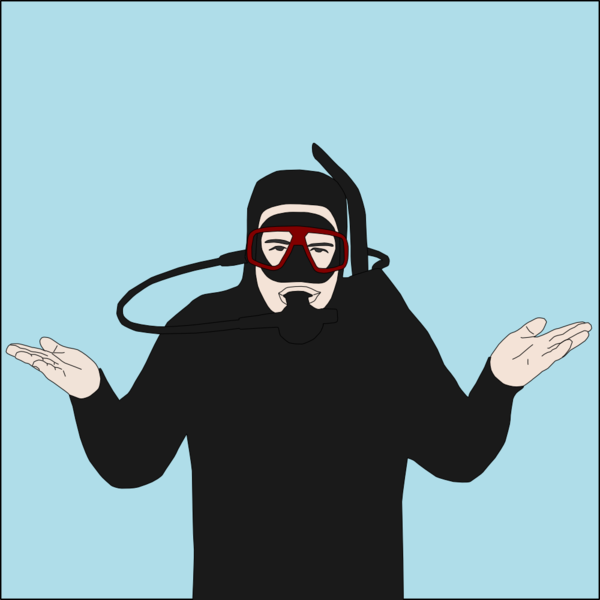 For any questions that your buddy or dive master makes and you have no answer for, you then give this responding gesture, raising your shoulders and with the palms up. Mind you, this act does not apply when you are asked for your air tank level or where your partner is... you always have to know the answer to those. 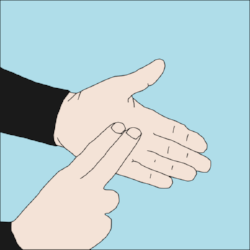 Another clear sign that is commonly used to teach you how to perform certain procedures to those learning to dive or to show something worthwhile during the dive. 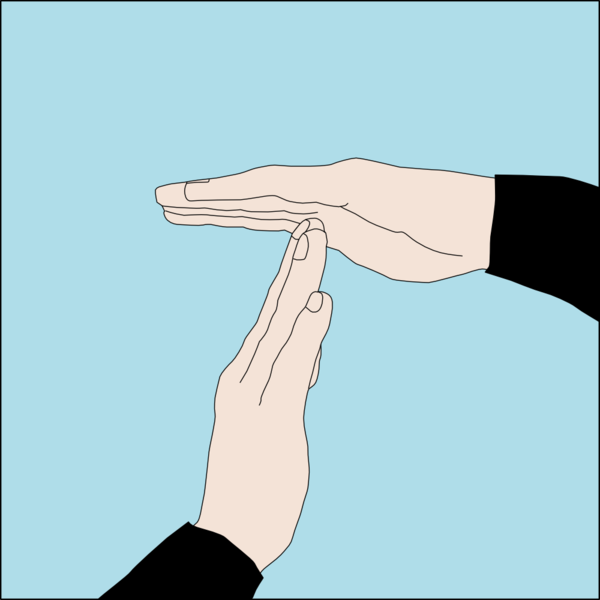 To show your partner that everything is OK, that everything is fine, you "draw" a circle on the bottom with the light beam, simulating the OK sign that you do with your fingers during daylight dives. You can also make this signal with your hand, as you do under good light conditions, but illuminating the hand with the flashlight. To draw the attention of your buddies during a night dive move the beam up and down or quickly in circles. This will help them to pay attention to you if you ask something or to show some interesting element during the dive. Always have a dive plan before you start your dive and stick to it. We understand that sometimes circumstances arise and you have to adapt to the situation. By being able to communicate properly with your partner, you can adjust to whatever comes your way.